I have been working with Nautica on a bunch of projects over the last year. My first project was a road-trip throughout Big Sur, then I did a strike surf mission to Mainland Mexico, and I have had various other initiatives in between (see my previous blog posts Northbound, Summer Slidin’, and Mexican Mirage). My most recent project with them was this expedition to Montauk, New York or as locals often call it “The End”, or even more dismally “The End of the World”. It was given this name for many reasons, the most common of which is because it is the most eastern point of Long Island. If you look at Montauk on a map, it is pretty far out there- it sticks out in isolation in the Atlantic Ocean. There are also rumors around this place that venture into the extraterrestrial and creepy categories. I was told that some of the stories that take place in the hit TV series Stranger Things are based on activities that took place in Montauk. I have heard some other weird stories as well (go digging and see what you find). This place is just as magical as it is mysterious. Randomly enough, while I was going to college in North Florida, I made some great friends who were born and raised in Montauk, New York. They always raved about the place and I would see epic images of them scoring unbelievable waves and fishing. It looked like an amazing place- similar to where I grew up on the Eastern Shore of Maryland, except more rugged, more off the beaten path, and colder, but with better waves and more scenic landscapes. This trip marked my third time out to Montauk and each time proves to be even more awesome than the previous. I partnered with Nautica on the opportunity to produce imagery for them to use for their digital marketing campaigns throughout this year’s Holiday season. As soon as I read over their brief, Montauk instantly popped into my head. If you have ever been to or seen pictures of Montauk- Nautica seems perfectly synonymous with it. My mind starting racing with different ideas I could incorporate into this shoot, and before I knew it I had a plane ticket booked to Montauk with my best photographer pal Vivian Kim to go and shoot content for Nautica. Everything about this trip was pretty last minute and we had to plan on the fly. However, I had faith in my Montauk homies and knew that they would pull through and be able to put Vivian and me into situations that would be fun and great to get some shots. Well, I was right… although our time in Montauk was short (just about 36 hours), it was exponentially sweet. Vivian and I booked out an incredible rental house right on the lake in Montauk that we posted up at and also got some cool shots. Unfortunately there were no waves while we were there, but the boys were able to make up for it. My friend Pat- the legend that he is- took us out for a little adventure on his boat. We cruised offshore Montauk point and got the most epic view of the lighthouse. 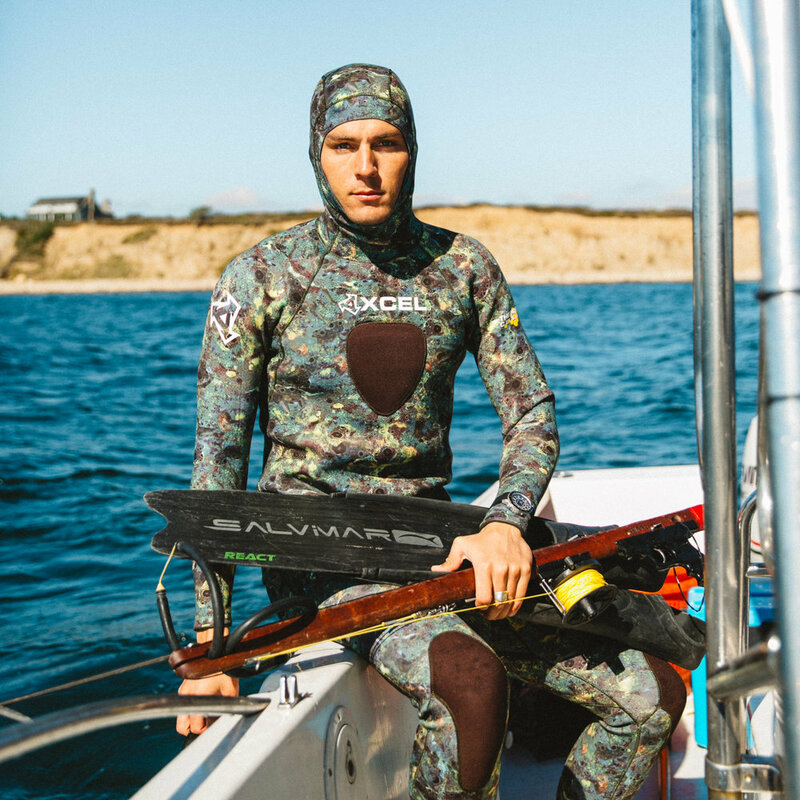 We even hopped in the water for a bit and did some spearfishing. Then we cruised back to shore and got up close and personal with the Montauk lighthouse from land. We finished out the day by catching a sunset on a pier on the sound side. The winds were howling and the waves were violently crashing on the dock. I hopped the little gate to get a better view of the pier and got soaked in the process… We ended the day by doing a little family cookout at my friends house. It was a nonstop day from sunrise to sunset, then we crashed super hard and caught a bus back to the city at 7AM. All in a days work. The following is just a little snippet of what Vivian and I created while in Montauk. Keep your eyes peeled for the full campaign rollout on the internet and all of Nautica’s channels. I will be sharing more as well (including moving pictures. hint. hint.). Big shoutout to all the Montauk boys for taking care of us. Especially Pat, Sam, and Mike. I got you guys back anytime you want to come visit me! The view from the deck at our rental house wasn’t too shabby. 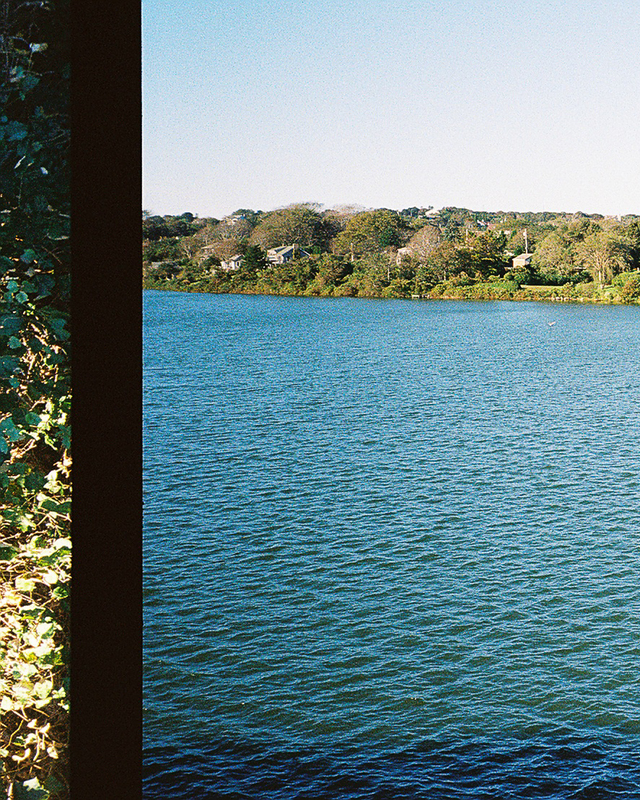 Lake Montauk at it’s finest. The golden rule is too have a camera on you at all times. Got enough cameras?! Our tools for this shoot, mostly film. After we shot around our the house in the morning, we made our way to the docks to shoot and catch a ride on my buddy Pat’s boat. Don’t you know? It’s all about the details. No joke- this floaty key chain was already on my buddy Pat’s boat key. Who know’s how long he’s had it... I think it was his Dad’s who is a professional fisherman out of Montauk. Captain Fallon reporting for duty. The beauty that is Montauk Lighthouse. An hour of diving in the water off Montauk in October will chill you to your core… here I am trying to warm back up on the boat ride in. Da boyz. Me, Pat, & Sam. Moments before (and after) getting soaked.